I’m a longtime Planetside veteran. I’ve more war stories behind me than Notch has used pickaxes. My loyalty has always been to the Vanu. Even when their transhumanist creed was only roughly sketched, even when everyone else taunted them for their tasteless outfits, I was a firm adherent. After all, I do look forward to augmenting this inefficient fleshy frame. So I signed up to fight. My AA Max could be seen jump-jetting up to mountaintops the world over; I ran ANTs to Oshur, Amerish, Searhus, Hossin… I was never a great warrior or leader, just a grunt. But I played my part. Yet, now Planetside 2 is out, something’s changed. I find myself shooting allies more often than enemies; my kill-death ratio has dropped to something microscopic. In a few hours of Vanu play on PS2, I killed one person, and died near 50 times. I literally squint at the screen whenever someone runs into my sights, which always gives enemies the half-second needed to kill me. That’s because, like 2.5% of the male population, I’m colorblind. 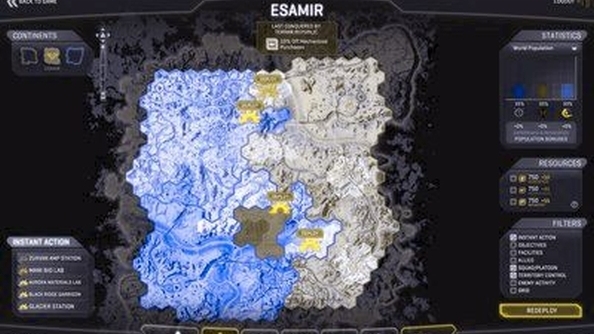 Of the three factions in Planetside 2, the two rebels havecolorschemes that are practically identical to thecolorblind the Vanu (purple-cyan) and the New Conglomerate (blue-yellow). I don’t remember it being so problematic in Planetside 1, but in PS2, it’s mad. In the game itself, it’s even worse. Squadmates appear as green, enemies as red. When players are running towards me, I have to make a quick decision on less data than my opponents; more often than not, I shoot my own squadmates. As the game punishes players for team-killing, I’m well aware that I’m heading towards the blacklist rapidly. It doesn’t stop with just the 2% who are pure red-green colourblindthough. 7-10% of the male population arecolorblindto some degree. That means, even if they aren’t suffering as badly as me, in low light situations like night battles or at long ranges or at high speed, they’ll have a competitive disadvantage working out faction. So, having played a few hours of Planetside on the Miller server, having spent something like 3500 Station Points on upgrades… I flipped sides. The people I played with the first time round, Jim and Alec from the RockPaperShotgun crew, are all Vanu. It’s hard not to log on and join them more often, but I’m aware that I’d just be a liability – and it would be no fun. Now, I’m playing as a Terran called Deign, on a new account, playing with the PC Gamer outfit. It’s slightly easier as a Terran, especially when playing with an outI’m still not great at hitting anything – but my Kill-death ratio is approaching parity as I relearn the skills of the game. And now I shoot anything even vaguely red, so life and death just got a lot easier. Though my green-tinged squadmates are still often targets, I’m learning to namecheck for the PCG nametagas well. I have spoken to SOE about this. Taina Rodriguez, the Senior PR over there, told me that they are looking into it, though they don’t have a timeframe yet. 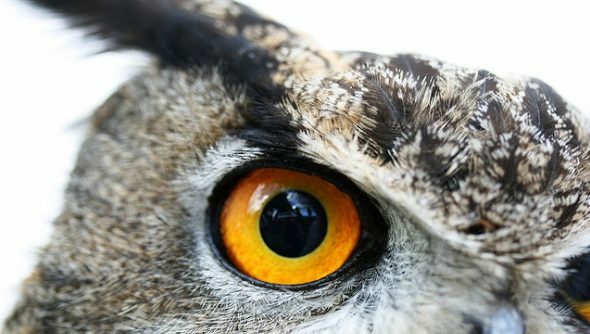 “No concrete plans are in place at the moment,” she said, “but we do know it is a problem and will soon work to put in some new indicators that take colorblindness into account better.” I have faith that SOE will do this – but until then, I’ll masquerade as a Terran – and try not to shoot my squadmates. 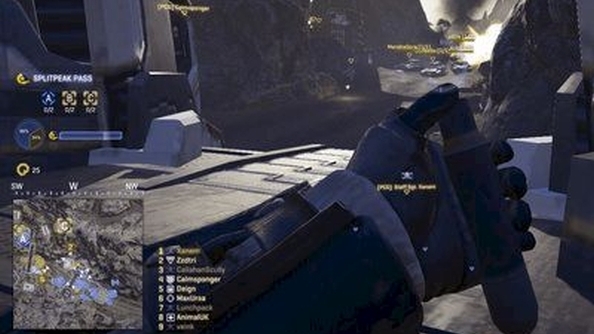 Want more Planetside 2? Here’s our group verdict review thingy.